We’re welcoming a new member of the Akira Media family to the wonderful online world of the Internet… or as George W. would say, “The Internets”. Dr. H. L. Keith III, DDS is a third generation dentist in the Wilmington area and we’re proud to give you this site that presents information about his practice in a clear, concise way. It’s responsive too, which means it’ll display well no matter what you happen to view it on. 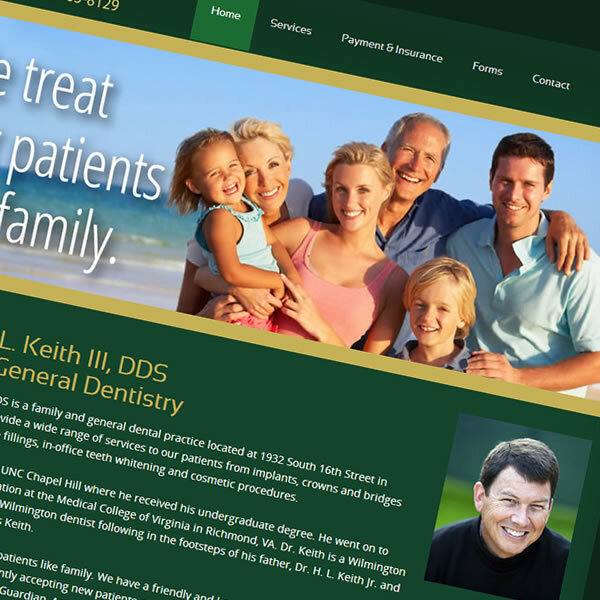 Thank you, Dr. Keith, for choosing us to be your web design company.